The IBM Portable PC was literally that - a portable version of the IBM PC. It has the actual IBM PC motherboard housed in a luggable case with built-in monitor and floppy drives. It competed poorly with the Compaq which had been on the market a year before the Portable PC's launch. Despite the inevitable comparisons with the competition, the Portable PC is solidly built and has excellent display and keyboard quality. 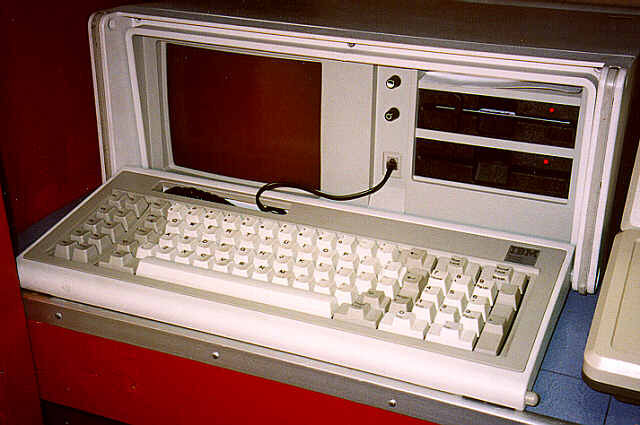 It was discontinued simultaneously with the announcement of the IBM PC Convertible.